Shakespeare’s Juliet asked it best—‘What’s in a name?’–turns out, quite a lot, particularly if your band’s name is I Prevail. “We spent a couple of years dealing with some craziness, shall we say,” says clean vocalist, Brian Burkheiser. “This whole life’s been a whirl to say the least so I took a step back—I’ve got a whole [new] approach this year. Luckily, everything is perfect compared to where I was at a year ago. Everything I Prevail have gone through as a band in the last couple of years, including Burkheiser’s throat injury, culminates in their second album, Trauma. This release is sensational. “I feel like with Lifelines , it’ll always have a place in our heart but there were things that were out of our control,” says Burkheiser. “I don’t want to throw shade at anybody but there were certain people who wanted us to go more of a cookie cutter route. This time around, we put our foot down. I get chills talking about it sometimes because it feels kinda surreal that all the things we wanted to talk about, we fit them into these 13 tracks. Trauma is truly the record I feel we always wanted to write. 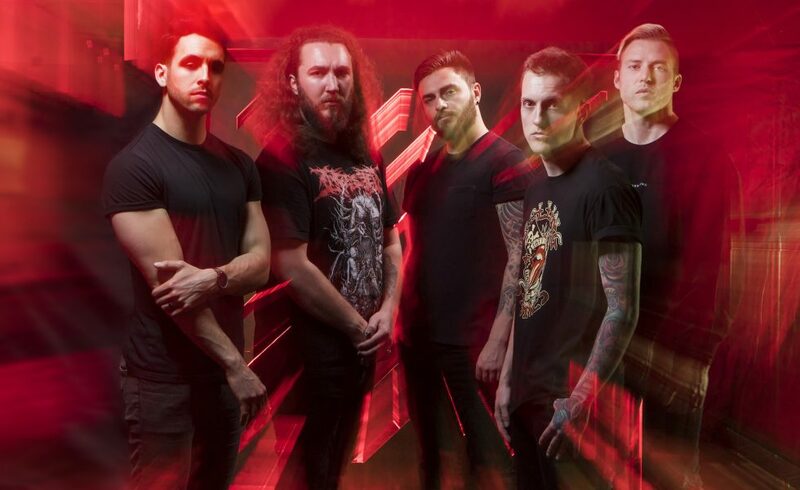 Lifelines, however, was the release that propelled I Prevail into massive success–their Australian tour in 2017 was completely sold out–theses names really seem to uphold their meaning. I Prevail kept on, they lived a trauma and got through it. “The name ‘I Prevail’ is definitely a motto we try and keep up,” Burkheiser interjects. “Especially because we’ve had a lot of negativity creep into our band–I won’t throw anybody under the bus but there were definitely certain people in the camp that would throw that negativity around. This time around, we cut that out. The first track on the album certainly breaks down a barricade with the fullness of its sound, but in Breaking Down, Burkheiser sings a lot about lies, telling people that he’s fine when they ask, mirroring those dark times he experienced. With Trauma, Burkheiser has been provided with the catharsis he needed to heal, but definitely still has his moments, he says. “I will say this album has propelled both Eric [Eric Vanlerberghe, harsh vox] and I’s headspaces up a 1000%. Real people with a real connection—what’s striking is just how strongly the rest of I Prevail had Burkheiser’s back through not only his illness, but in their mutual goal for where they wanted the music to go, drawing on all this and from different genres to come through in the album and say, ‘Yeah, we get it.’ “And that was the thing too; we listen to so much different music,” says Burkheiser. “Personally I love hip hop and EDM, and the band varies, we all listen to very different stuff. “We kind of said ‘Hey, after four or five years of writing we really have found our sound and we want to go for that–and funny, the producer, Tyler Smyth, was a huge influence on this entire thing! “The guys were so friggin’ supportive of me when I was off the road. Especially Dylan [rhythm guitarist, Dylan Bowman] and Eric—I’m forever indebted to them for stepping up and taking over when I was in such a dark place. “It helped us keep going, and brought a family bond to not only the band but the fans, too. They saw ‘Hey, Brian’s struggling but how cool that this band can power up to perform without him.’ Not a lot of bands can do that, but the fact Eric and Dylan took over, I’m so grateful. Purchase and Stream I Prevail’s Trauma here.